Great deal on vacuum if you are looking for one! Score Dyson Ball Animal Upright Vacuum for ONLY $189.99 Shipped (Reg $275) in Amazon’s deal of the day 02/05! 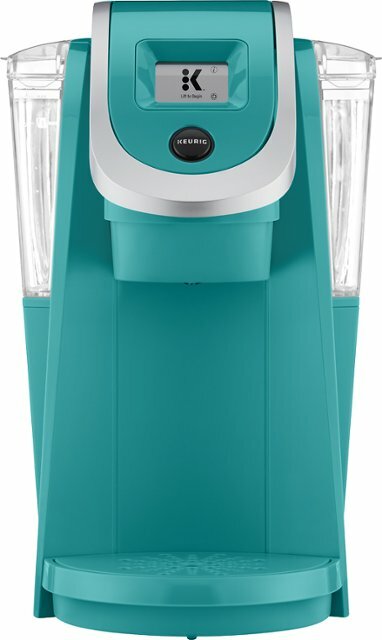 Brew your favorite hot beverage in this Keurig – K200 Single-Serve K-Cup Pod Coffee Maker that is available for ONLY $69.99 (Reg $140) with free shipping in the Best Buy Deal of the Day 01/09. Head on over to Amazon to score THREE Months of Kindle Unlimited $0.99. 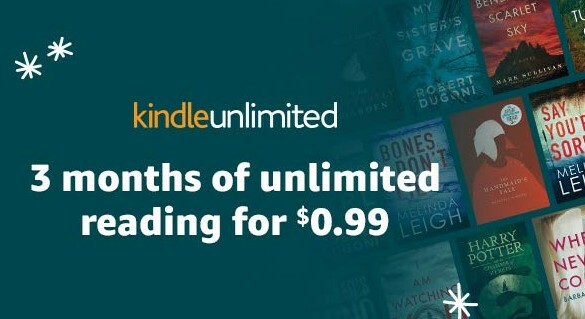 With Kindle Unlimited, you can enjoy unlimited access to over 1 million books and a rotating selection of popular magazines. Listen to thousands of books with Audible narration. Read anytime, on any device with the Kindle app. This offer is for new subscribers. 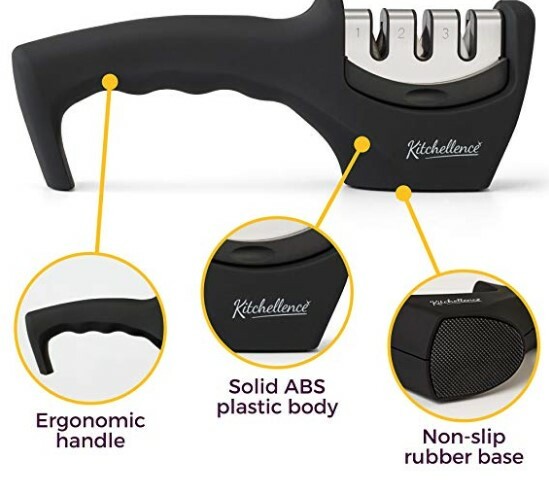 Amazon has Kitchen Knife Sharpener – 3-Stage Knife for $15.99 (Reg $38) with free shipping. When you want quality, look no further than Kitchellence! Made with solid ABS plastic, our sharpening tool reflects our commitment to excellence. Great for both left and right-handed users, it’s safe, effective and a must-have for every home. 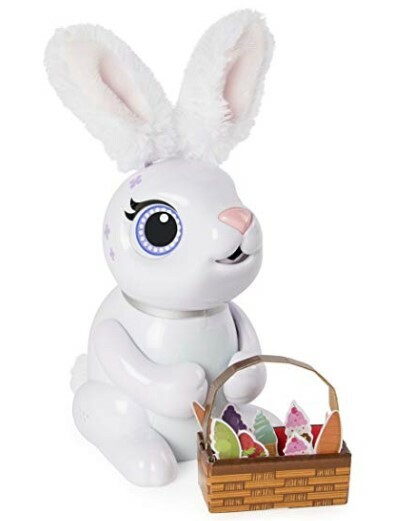 Amazon has Zoomer Interactive Robotic Rabbit That Eats for $4.99 (Reg $30) with free shipping. These adorable bunnies love to nibble and munch! Feed them a paper treat and they’ll chew it right up! Hungry Bunnies love to eat bunny food, like carrots, ice cream, popsicles and more! When Hungry Bunnies are full, they’ll play a happy rainbow song and leave a trail of magical confetti poop. 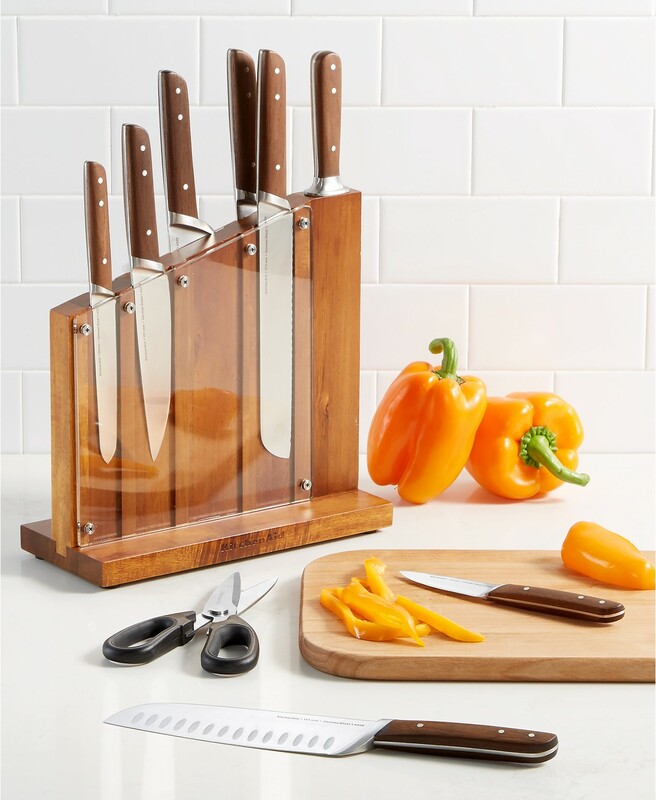 KitchenAid Architect 11-Piece Cutlery Set is on sale for $143.99 (Reg $299.99) at Macy’s. In addition to this sale price you can get an extra 20% off when you use code JOY that will make the final price just $115.19. This 5-piece set includes everything you need for all of your baking challenges. 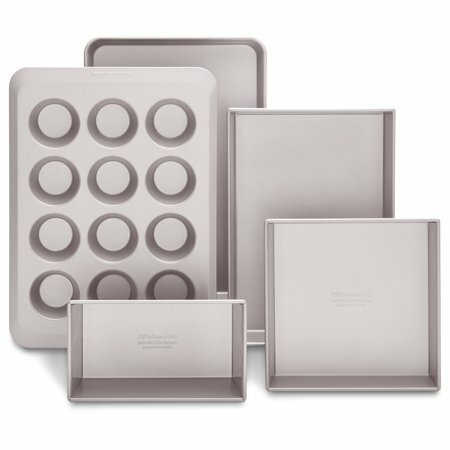 It includes 9″x9″x2″ square pan, 9″x5″x3″ loaf pan, 9″x13″x2″ cake pan, 12-cavity regular-sized muffin pan, and the 10″ x 15″ x 1″ jelly roll pan. Now through December 31, get a $10 Walmart e-gift card when you spend $35 on select beauty products. GET a unique code to redeem online by 1/4/19 at 11:59:59 PM PT for a $10 Walmart eGift Card redeemable at Walmart.com or Walmart retailers. SUBMIT your order confirmation from Walmart.com by visiting ebeautyrewards.com or by emailing a copy of your order confirmation to ebeauty@uploadreceipt.com by 12/31/18 at 11:59:59 PM PT (all submissions subject to verification). Order Confirmation must show Walmart store name, date/time of order, order number, order total and $35 worth of participating Neutrogena®, Clean and Clear®, Aveeno®, Lubriderm® and/or ROC® products. Each order confirmation can only be submitted once. 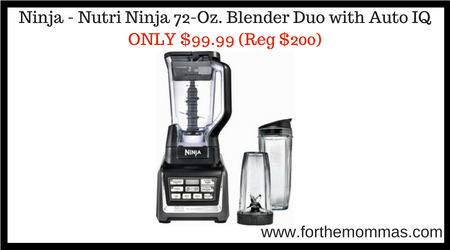 Prepare tasty purees or creamy smoothies with 1 press of a button in this Ninja – Nutri Ninja 72-Oz. Blender Duo with Auto IQ available for ONLY $99.99 Shipped (Reg $200) in Best Buy’s deal of the day 12/26! 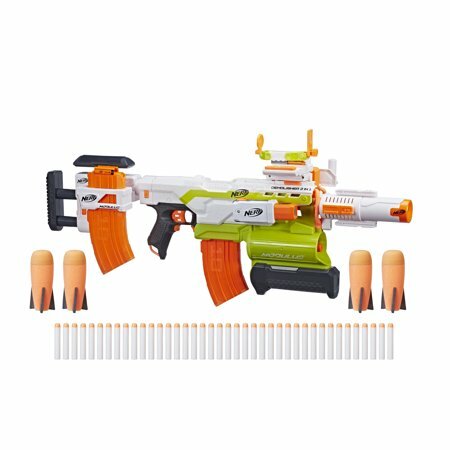 Your kid will love this Nerf Modulus Ultimate Customizer Pack that is available for ONLY $65 (Reg $99.99) with Free Shipping at Walmart. Includes: blaster, tactical light, stock, flip-up sight, 3-in-1 tactical rail, clip holder, missile holder, barrel extension, 10-dart banana clips (2), 40 darts, 4 missiles and instructions. 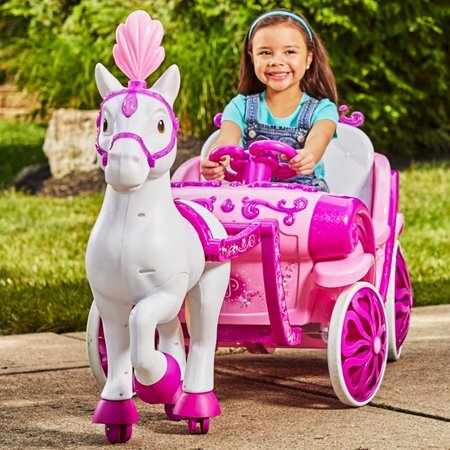 A great buy for your little princess, score Disney Princess Horse and Carriage Ride-On for Only $149, down from $199 with free shipping at Walmart. 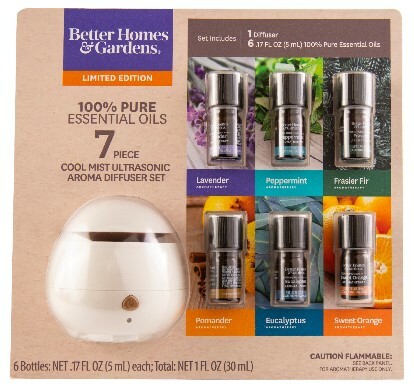 Walmart has Better Homes & Gardens Essential Oil 7 Piece Set for $12 (Reg $40). Perfect as a starter set for beginners, dorm rooms, traveling, and taking the benefits of essential oils everywhere you go. Choose free in-store pick up if available near you; otherwise, score free 2-day shipping on any eligible $35+ order. The Cool Mist Diffuser humidifies the air in your home by utilizing ultrasonic vibration to release a cool mist into the air. This diffuser can be used with your favorite Better Homes & Gardens oils and lasts up to three hours. 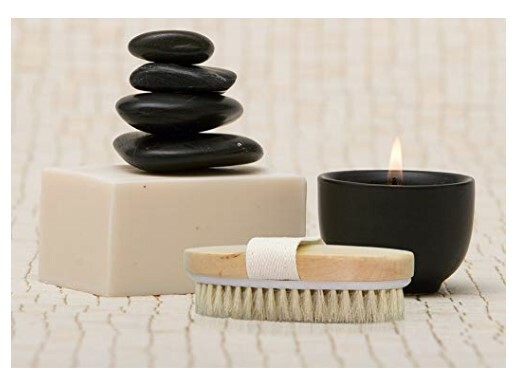 Amazon has Dry Skin Body Brush – Improves Skin’s Health And Beauty for $9.95 (Reg $18.95) with free shipping. The bond between you and your child is endless, and boundless, and you will carry the love you share forever. The Eternal Love Ring Sling baby wrap is an easy and elegant way to nurture the bond between you. 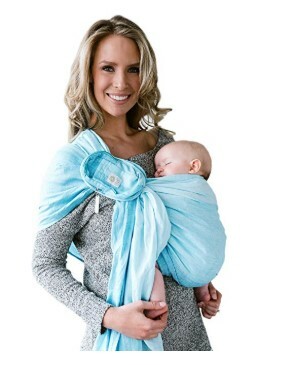 Amazon has Ring Sling w/ Removable Pocket by LILLEbaby for $38.8 (Reg $97) with free shipping. This natural, premium quality linen ring sling is lightweight and breathable, with comfortable support that allows you to be hands-free while keeping your baby close. The unique, removable zippered pouch carries your essentials and provides a layer of padding beneath the rings, and cleverly contrasting thread along one edge of the sling helps you identify each hem so you can adjust with ease. Amazon has Disney Storybook Projector for ONLY $9.99 (Reg $40) with free shipping. 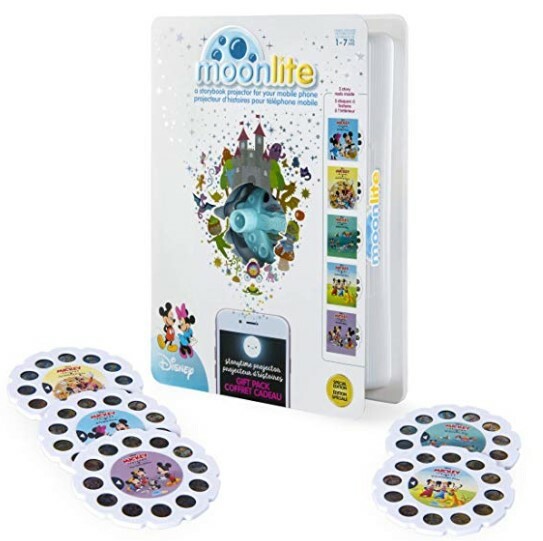 Your child’s favorite Disney tales come alive with Moonlite, an easy-to-use storybook projector! This small device clips onto your smartphone (not included) and uses the device’s flashlight to project vibrant storybook images onto any surface!